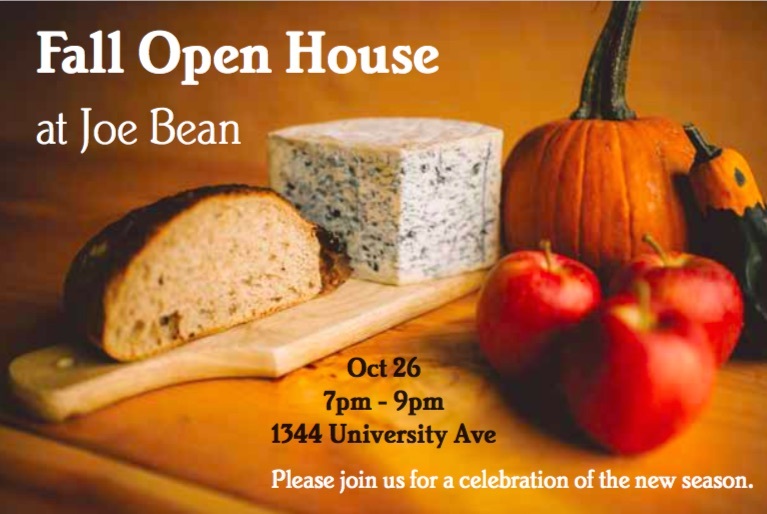 Joe Bean Coffee is hosting an open house tonight from 7p-9p to celebrate the launch of their new food menu that includes brunch offerings for the first time. If you’re not a regular at Joe Bean like I am, you might not know that they have been serving some fantastic sandwiches and snacks for a while and are now expanding. New addition Christin Ortiz will be working on the brunch every Saturday and Sunday from 11a-3p and the snack menu has been reworked as well. Joe Bean does focus on using local ingredients for the food and I expect that to continue with the new brunch offerings as well. I’m excited to see what Christin will be serving up and I hope to see everyone out there tonight! On a completely separate note, Joe Bean along with Staach and Slow Road is also working on a project to transform the abandoned fire lane in front of the shop into a Public Parklet. This would be the first parklet in the city of Rochester and a great step forward for usable public green space in previously under used area. The outdoor seating space hosted by Joe Bean would be accessible to anyone and is a prototype that could kick off the spread of parklets throughout the city. Support would be in place for bike storage and could offer opportunities for art installations and pop ups as well. Check out the Kickstarter if you want more info on the project and contribute if you’re able.